Argenteus is an abundant breeding species on Iceland, Britain, NW France, Belgium, the Netherlands and N Germany. 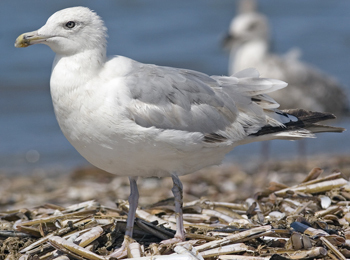 The taxon argentatus breeds in NE Europe, from Denmark, the coast of the Baltic Sea, Scandinavia and coast of the White Sea. 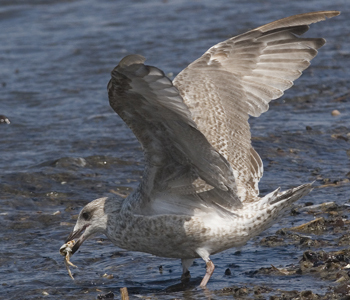 In the centre of the breeding range (Denmark and the NW German coast), birds show intermediate characteristics, indicating there is a cline in argenteus-argentatus. 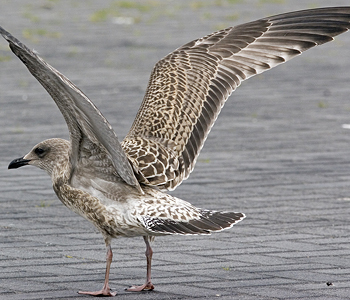 Argenteus in Western Europe is pale-backed, slightly smaller and with relatively much black in the wing-tip; argentatus in the NE Europe is larger, slightly darker on upper-parts and show less black in the wing-tip. 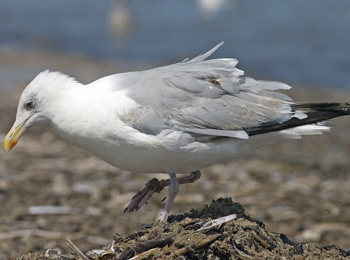 Due to the large breeding range, there is much intra-specific variation in argentatus, with most large, powerful birds in the northern populations, showing the most darkest upper-parts, longest wing and most white in the outer-wing. 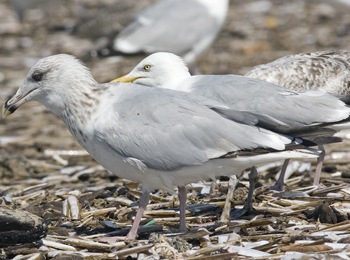 In this region, some populations may hold substantial number of yellow-legged argentatus. 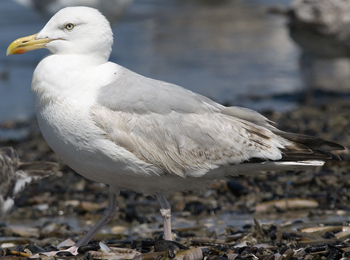 (referred to as "Finnmark yellow-legged argentatus"). In adult plumage, the black sub-terminal spot on P5 is often lacking or strongly reduced to a diffuse streak, broken at the centre. Sometimes P6 lacks black as well. 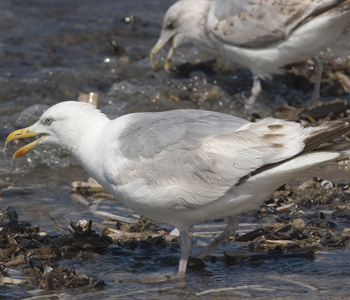 In the Baltic region, other yellow-legged argentatus populations occur ("Baltic yellow-legged argentatus"), with adults showing even brighter yellow legs in summer and the upper-parts only slightly darker than West European argenteus, still much paler than Yellow-legged Gull (michahellis). 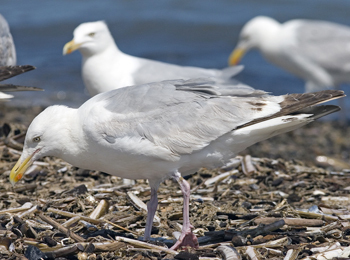 Those Baltic argentatus often show a black sub-terminal spot on P5 in adult plumage. July, mid-summer, all birds are in complete moult. The combination of very worn old feathers and recently replaced new together with moult gaps in many feather tracts make many birds look like fluffy messy feather balls rather than birds. By late July, many local populations see a new cohort of very fresh juveniles added to the group. Herring Gull (argenteus) 1CY, July 30 2014, IJmuiden, the Netherlands (Mars Muusse). 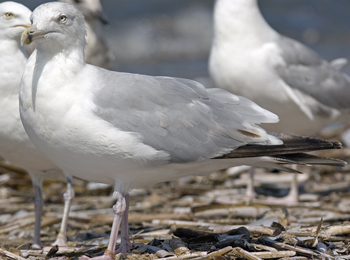 Herring Gull (argenteus) 1CY, July 30 2014, IJmuiden, the Netherlands (Mars Muusse). ID 1CY birds in July: birds recently left the colony in very fresh juvenile plumage. Easily told from 2CY birds by the full hand of pointed, first generation primaries showing a pale window in the inner feathers. No moult in primaries, no moult in secondaries and no moult in tail. Herring Gull (argenteus) 2CY, July 15 2009, Boulogne-sur-Mer, France (Jean-Michel Sauvage). Herring Gull 2CY, July 31 2015, Noordwijk, the Netherlands (Mars Muusse). ID 2CY birds in July: messy looking birds, showing moult gaps in many feather tracts by July. Inner primaries are new, overall grey but with brown hue. Central primaries have darker outerwebs, gradually dissolving in paler innerwebs and are brownish, not blackish as in in 3CY birds. Moult in primaries, and by late July often starts moult in secondaries and tail as well. New feathers in coverts are heavily barred, often densely marbled in the greater coverts; new feathers not adult-like plain silvery grey as in 3CY birds. Iris normally brown. Herring Gull (argenteus) 3Y, July 30 2014, IJmuiden, the Netherlands (Mars Muusse). Herring Gull 3Y, July 18 2013, Noordwijk, the Netherlands (Mars Muusse). 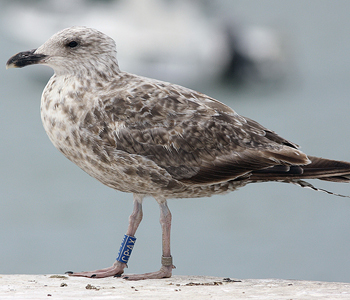 ID 3CY birds in July: combination of adult-like features and immature markings. Told from one year younger 2CY birds by pattern on fresh inner primaries, which appear adult-like grey. Central primaries have blackish outerwebs, sharply set from grey innerwebs. Moult in primaries, and by last days of July often starts moult in secondaries and tail as well. 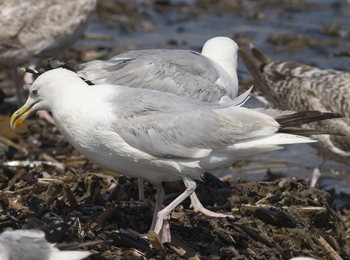 New feathers in coverts are adult-like plain silvery grey. Iris normally pale, blueish with dense speckling in some birds. Told from one year older 4CY birds by the pattern on the old feathers. Secondaries are old 2nd generation, showing large brown centres on all feathers and only thin white fringe on the tips. Old, second generation tail with broad band and proximal barring. Secondaries on 4CY birds are also old, but already 3rd generation, with grey centres and broad white tips, like in adults but many birds show variable amount of brown on at least some of the secondaries. Normally less black in 3rd generation tail, or tail almost completely white in many argenteus. Also, 4CY birds normally have more adult-like bare parts (bill, iris). 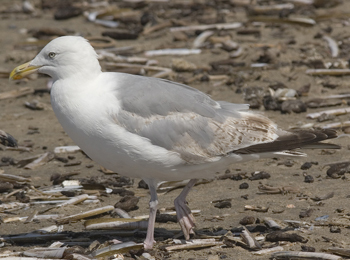 Herring Gull 4CY, July 31 2014, Noordwijk, the Netherlands (Mars Muusse). 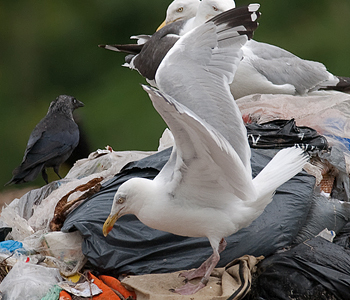 Herring Gull 4CY, July 30 2014, IJmuiden, the Netherlands (Mars Muusse). ID 4CY birds in July: exact ageing can be difficult in many birds, and these are better left grouped as 'sub-adults'. Still, the combination of old and new feathers may give hints, especially the pattern on old feathers. New 4th generation inner primaries growing in by July are adult-like grey with slightly more black on the central primaries in this age class than full adults will show. Upperparts and new coverts appear adult-like grey as well, but new central tertials and new central greater coverts often show dark lining or markings again (probably more apparent in argentatus than in argenteus). Best clue for ageing 4CY birds are old retained feathers: outer primaries are faded brown, with no or small mirror on P10. Secondaries are grey with pale tips, but many of these old secondaries show brown markings. Old outer primary coverts have extensive brown centres. Many birds show old lower tertials and the lesser coverts; these old feathers are worn but the brown markings in these locations are obvious in many birds. 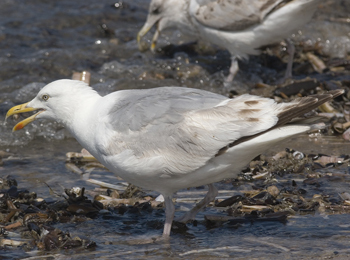 Herring Gull (argenteus) 5CY, July 30 2014, IJmuiden, the Netherlands (Mars Muusse). 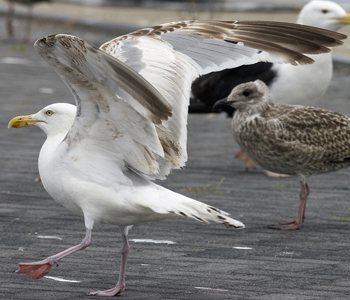 Herring Gull (argenteus) 5CY, July 30 2014, IJmuiden, the Netherlands (Mars Muusse). ID 5CY birds in July: exact ageing can be difficult in many birds, and these are better left grouped as 'sub-adults'. Also, many 5CY birds will probably go unnoticed and simply labelled 'adult'. Birds with overall adult plumage, both in old and new feathers, which combine this adult-like plumage with single blackish markings in greater primary coverts or a single spot in the tail are very likely 5CY (based ringed birds). 5CY argentatus seems to show immature markings more often than 5CY argenteus. Herring Gull (argenteus) adult, July 25 2010, Texel, the Netherlands (Maarten van Kleinwee). 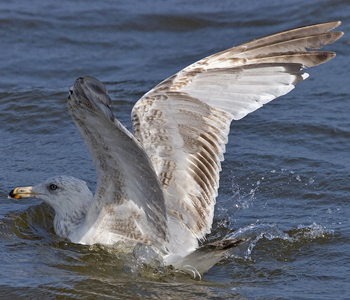 Herring Gull (argenteus) 6CY, July 29 2011, Barneveld, the Netherlands (Maarten van Kleinwee). ID 5+CY birds in July: exact ageing only when ring data are available. below: some unringed sub-adult Herring Gulls, probably all local argenteus from continental Europe, from the last day of July in the Netherlands. Herring Gull 4CY, July 31 2015, Noordwijk, the Netherlands. Herring Gull sub-adult, July 31 2015, Noordwijk, the Netherlands. Herring Gull sub-adult, July 31 2015, Noordwijk, the Netherlands. Herring Gull sub-adult, July 31 2015, Noordwijk, the Netherlands. Herring Gull sub-adult, July 31 2015, Noordwijk, the Netherlands. Herring Gull 4CY, July 31 2015, Noordwijk, the Netherlands. Herring Gull 4CY, July 31 2015, Noordwijk, the Netherlands. Herring Gull 4CY, July 31 2015, Noordwijk, the Netherlands. Herring Gull 4CY, July 31 2015, Noordwijk, the Netherlands. Herring Gull A3CV 4cy-5cy (argenteus), July 15 2009, Boulogne/Mer, France. Pictures J-M Sauvage. Herring Gull GC 89612 4cy (argenteus), July 2011, IJmuiden, Netherlands. Herring Gull GC 89668 4cy (argenteus), April-August 2011, Leiden, Netherlands. 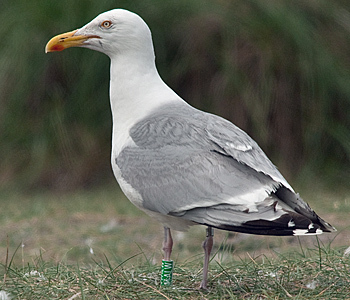 Herring Gull (argenteus) 4CY-5CY BTO GR-53691 March-July 2013 & September 2014, Calais, NW France. Picture: Jean-Michel Sauvage. Herring Gull (argenteus) T4 A 4CY, July 19 2010, Boulogne/Mer, France. 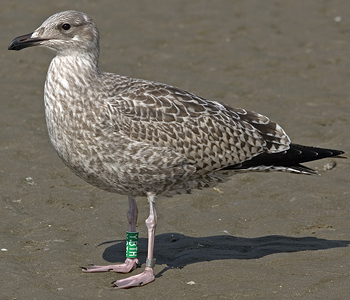 Herring Gull (argenteus) CRAC 4CY-5CY (3rd - 4th cycle), May 2011 - February 2012, Koksijde, Belgium. Picture: Peter Adriaens. Herring Gull (argenteus) Y.LAL 4CY, July 07 2017, Katwijk, the Netherlands. 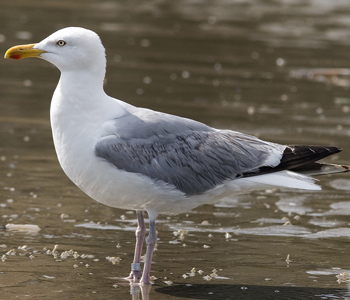 Herring Gull (argenteus) Y.BDS 1CY-4CY,September 2012, July 2014 & February 2015, IJmuiden, the Netherlands. Herring Gull 5W 4cy (argenteus), July 07 2010, Boulogne/Mer, France. Photo: M. Kleinwee. Herring Gull 5.419.235 4cy (argenteus), 2009-2011, Leiden, Netherlands. 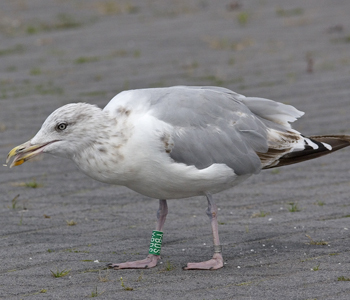 Herring Gull 6.166.494 5cy (argenteus), July 30 2014, IJmuiden, Netherlands. 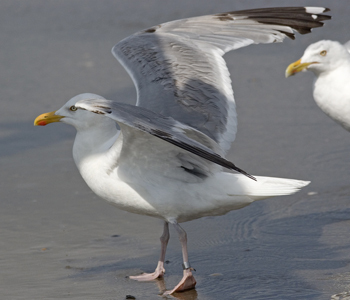 Herring Gull 6.168.269 1cy & 4cy (argenteus), July 30 2014, IJmuiden, Netherlands. Herring Gull (argenteus) NLA 6.169.93x 4CY, July 28 2015, Brouwersdam, the Netherlands. Herring Gull DN11302 4cy (argentatus), July 17 2003, Tampere, Finland (61.31N, 23.43E). Herring Gull C60P8 5cy (argentatus), July 15 2003, Tampere, Finland (61.31N, 23.43E). Herring Gull C68J1 4cy (argentatus), July 16 2003, Tampere, Finland (61.31N, 23.43E). Herring Gull C95E0 4cy (argentatus), July 17 2003, Tampere, Finland (61.31N, 23.43E). Herring Gull CA444 4cy (argentatus), July 16 2003, Tampere, Finland (61.31N, 23.43E). Herring Gull HT-205231 sub-ad (argentatus), July 15 2003, Tampere, Finland (61.31N, 23.43E). Herring Gull HT-xx0900 sub-ad (argentatus), July 15 2003, Tampere, Finland (61.31N, 23.43E). Herring Gull HT-xx2309 sub-ad (argentatus), July 15 2003, Tampere, Finland (61.31N, 23.43E). Herring Gull (argentatus) RUM ES14360 4CY, July - December 2015, Brouwersdam, the Netherlands. Picture: Ted van der Knaap, Martijn Bot & Mars Muusse. Herring Gull 4CY, July 30 2014, IJmuiden, the Netherlands. PMS: P4/P7. Herring Gull 4CY, July 09 2013, Katwijk, the Netherlands. PMS: P2/P3. Herring Gull 4CY, July 09 2013, Katwijk, the Netherlands. PMS: P2/P4. Herring Gull 4CY, July 09 2013, Katwijk, the Netherlands. PMS: P2/P5. Herring Gull sub-adult, July 18 2013, Katwijk, the Netherlands. PMS: P2/P5. Herring Gull 4cy, July 18 2013, Katwijk, the Netherlands. PMS: P2/P5. Herring Gull sub-adult, July 31 2015, Noordwijk, the Netherlands. Herring Gull 5CY, July 31 2015, Noordwijk, the Netherlands. Herring Gull sub-adult, July 18 2013, Katwijk, the Netherlands. PMS: P3/P5. Herring Gull sub-adult, July 09 2013, Katwijk, the Netherlands. PMS: P2/P6. Herring Gull sub-adult, July 09 2013, Katwijk, the Netherlands. PMS: P3/P6. Herring Gull sub-adult, July 18 2013, Katwijk, the Netherlands. PMS: P3/P6. Herring Gull sub-adult, July 18 2013, Katwijk, the Netherlands. PMS: P4/P7. Herring Gull 4CY, July 18 2013, Katwijk, the Netherlands. PMS: P3-P10 old. Herring Gull sub-adult, July 18 2013, Katwijk, the Netherlands. Herring Gull sub-adult, July 09 2013, Katwijk, the Netherlands. Herring Gull sub-adult (argentatus), July 09-17 2003, Tampere, Finland (61.31N, 23.43E). 4cy birds with open wings. Herring Gull sub-adult (argentatus), July 09-17 2003, Tampere, Finland (61.31N, 23.43E). 5cy birds. Herring Gull 4cy (argentatus), July 09-17 2003, Tampere, Finland (61.31N, 23.43E). Immature birds. Herring Gull 4cy (argentatus), July 14 2003, Tampere, Finland (61.31N, 23.43E).